I you're trying to lose weight either by exercising, dieting or taking the best slimming pills, you can document your weight loss journey by scrapping your photos. I know this will keep you motivated and inspired in achieving your goals. This may be a difficult journey in your life but once you see the end result, you'll feel happy about it. 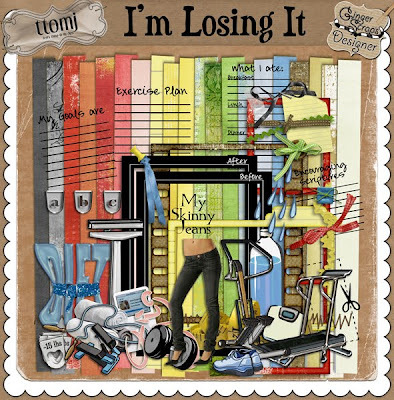 This I'M LOSING kit by Ginger Scrap Designs is perfect for your weight loss photos and healthy plans.